Last week marked the two-year anniversary of Russia’s annexation of the Crimean Peninsula. Football clubs and its fans were also deeply impacted by this event, and within one year all three major clubs Tavriya Simferopol, FK Sevastopol, and the lesser-known Zhemchuzhina Yalta had to declare bankruptcy, and were dissolved, later to re-emerge as new clubs that could participate in the Russia football pyramid. 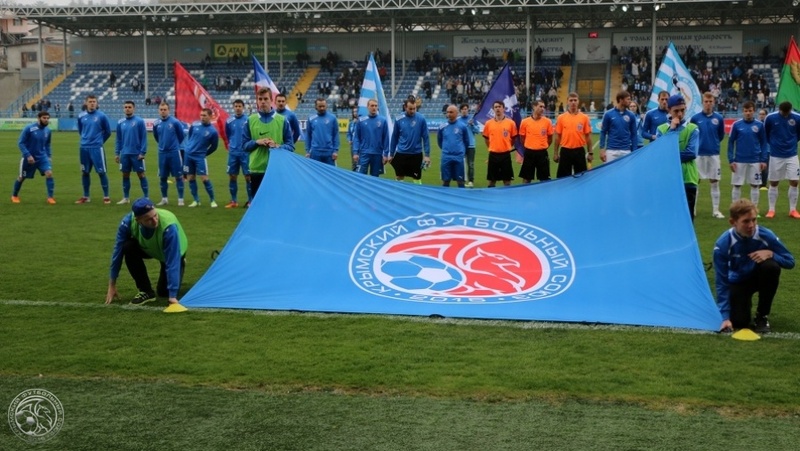 These new clubs TSK (Tavriya Simferopol Crimea) Simferopol, SK Chernomorskogo Flota (SKChF) Sevastopol, and Zhemchuzhina Yalta played a handful of games in the third-tier Russian Professional Football League. On August 22, 2014 the UEFA Emergency Panel stated “that any football matches played by Crimean clubs organised under the auspices of the Russian Football Union (RFU) will not be recognised by UEFA until further notice.” The clubs were then disbanded. Then early in 2015 UEFA offered a solution. In January, Vitaly Mutko, the President of the Russian Football Union told the news agency TASS that “UEFA has proposed the establishment of an independent footballing structure which will unite the existing football federations of Crimea and Sevastopol. On May 21 2015, Georgiy Ilyakov, an official of the Crimean Football Union, announced that talks with UEFA were successful and that they had received approval to form a Crimean league. In June 2015 Futbolgrad reported that the Crimean Premier League had officially been established, and would kick off in August 2015. 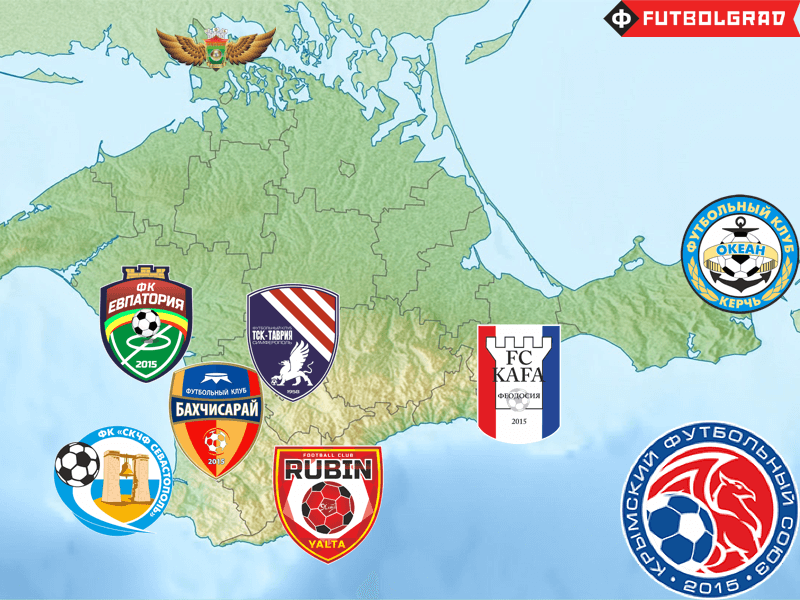 The eight founding members of the league were FK TSK-Tavriya Simferopol (the official successor of Tavriya Simferopol), FK SKChF Sevastopol (the official successor of FK Sevastopol), FK Rubin Yalta, FK Bakhchisaray, FK Yevpatoriya, FK Kafa Feodosiya, FK Okean Kerch, and PFK Berkut Armyansk (named after the notorious police force that played a major role in suppressing the protests on Maidan). The Crimean Premier League is run by the Crimean Football Union (CFU), which was established after UEFA declared Crimea a special development zone. Initially the CFU hoped that UEFA would help finance the competition, but UEFA has completely withdrawn from organizing the competition, and only has agreed to give money to finance the development of youth football infrastructure on the peninsula. UEFA has announced that they will revisit the issue in two years time, but until then the Crimean Premier League will have to find other means to stay operational. Many of the top players have therefore left, and almost all the players who aren’t playing for Tavriya or Sevastopol are more or less amateurs. Sanctions by the European Union, and the United States also mean that clubs have a difficult time acquiring sponsorship money. Sevastopol are sponsored by a group that wants to remain anonymous out of fear that their company could be sanctioned. According to Tribuna, Transmashholding—the largest manufacturer of locomotives and rail equipment in Russia – supports Tavriya Simferopol. Yet the company does not show up as one of the official sponsors of the club on the shirt or the official homepage of the club. Transmashholding operates on the global market and the French company Alstom holds parts of the company’s shares. The holding also owns a factory in Germany, and furthermore has a cooperation agreement with several German companies; it would make business difficult for the company if Transmashholding were to be hit with sanctions for sponsoring a Crimean football club. Most of the clubs have to rely on small local sponsors. For example the local water amusement park Atlantida sponsors third-placed team Rubin Yalta. But club president Pavel Kandul told Tribuna “We don’t even have a bus. It is a huge problem. We have to go by car.” The local Avanhard Stadium, which Futbolgrad visited in 2013, just months before the annexation by Russia, is also in a dismal state. At that time it was without a functioning score board, and most seats were missing. Back then the predecessor of Rubin—Zhemchuzhina, which played in the Ukrainian Druha Liha (third division)—used the stadium. Attendance is also dismal. The Crimean authorities report that on average 1,260 people watch the games of the Crimean Premier League. Yet the real turnout is much lower, and this is despite the fact that most tickets are given away for free. 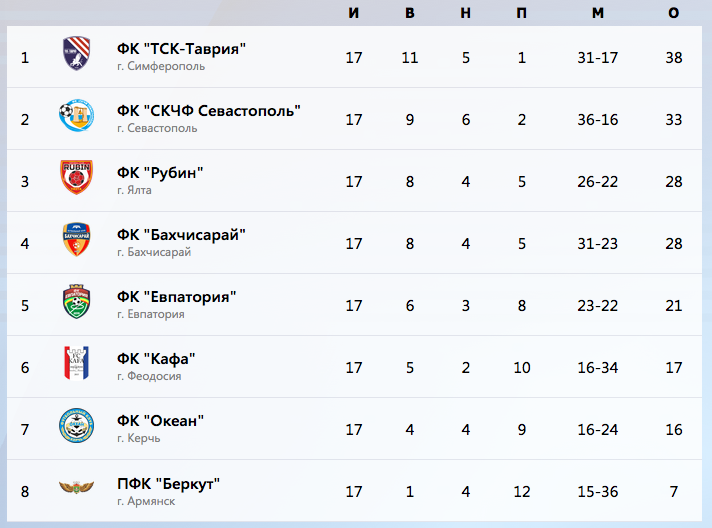 In fact only two—Tavriya and Sevastopol—out of the eight teams actually sell tickets.